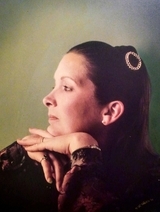 Deborah "Debbie" Hall, 57, of Merry Point, Virginia passed away on February 4, 2019. She is survived by her husband, Brent Hall; son, William Hall; brother, Wayne Wedding and her father, Bob Wedding. She was preceded in death by her mother, Mary Elizabeth Bell. A memorial service will be held 3:00 p. m. Saturday, February 16, 2019 at Currie Funeral Home, Kilmarnock. To send flowers to the family of Deborah Kay "Debbie" Hall (Wedding), please visit our Heartfelt Sympathies Store.